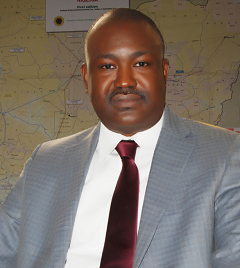 Mr. Toyosi Gbenga Olawepo is the Chairman of Bresson Energy Limited. He has being in private business for about twenty three years, working substantially in the energy sector worldwide. Mr Olawepo also chairs the board of directors of Oilworld Ltd, Operator of OPL241 in the continental shelf of Nigeria and he is the President of Transnational Energy Corporation, TEC in the USA, which specializes in Oil and gas exploration and trading. A graduate of the University of Lagos Nigeria, he holds a Masters' degree in Global, Affairs from the University of Buckingham, United Kingdom, where he won the prestigious Max Bellof Award for Best Student in Global Affairs in his cohort. Mr. Olawepo trained at the International Human Resource Corporation (IHRDC) in Boston Massachusetts where he completed a certificate in International Petroleum Management. Mr. Olawepo has been recognized nationally and internationally. He was awarded the Kwame Nkrumah's Leadership Award by The Africa Students Union (AASU) and the Veteran Award in Caracas, Venezuela in 2005 by the World Federation of Democratic Youths. Chris is a highly skilled geophysicist with 17 years oil & gas experience, 10 years exploration and production management experience, and CEO for the last 4 years and he has particular expertise in new ventures initiation, evaluation and negotiation. Chris has worked on various assets, basins and countries around the world including particular experience in Africa (West, East and North), Central and Eastern Europe and Australasia . Chris has worked a broad range of assets, from large scale frontier exploration and basin evaluation studies, to detailed field development planning and reserves evaluation. As a geophysicist Chris has worked on a large number of 2D and 3D datasets and has particular expertise with lithology and fluid prediction in addition to conventional seismic interpretation. Since 1991 Chris has worked for a number of employers of various scales including Conoco (which became Conoco Phillips), Troy-Ikoda (latterly bought out by RPS), and Regal Petroleum and was a founder of Zeta Petroleum in 2005. During this time Chris has worked on a variety of projects that have lead directly to the discovery of hydrocarbons in Africa, Australia and Europe. Mr Ken Agu has an extensive experience in Oil And Gas industry. He joined Oilworld Limited in 2005 as head of overseas operations - responsible for strategic planning and forming of strategic alliances. He has also been senior consultant (Advisor) to various companies and agencies in Africa, Europe, North America, and South East Asia. Dr Funmi Olawepo is a Physician with interest and experience spanning the Health, Pharmaceutical and Energy sectors in Europe and Africa. Dr Olawepo holds a Masters of Philosophy in Bioscience Enterprise from the prestigious University of Cambridge, United Kingdom and She is responsible for coordinating Bresson's global alternative energy initiatives. 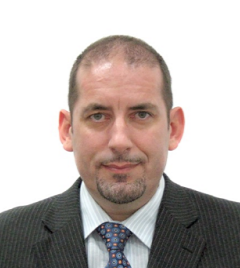 Mr Vincent Gueneau is a trained Engineer, Investment Banker and Private Equity Investor with over 20 years experience and impeccable professional track-record in the Energy Sector in Sub-Saharan Africa, notably in Nigeria. He started his career in the French Power Group ALSTOM beforebecoming a successful Entrepreneur in the Oil Services Industry, subsequently serving as a Senior Adviser and Managing Director in RENAISSANCE CAPITAL, before founding a Private Equity Fund in Mauritius called ABUCAP (Africans BUilding CAPacity) which invests in Sub-Saharan Africa's Energy Sector, and KAPPAFRIK Ltd, an Investment Advisory company based in Nigeria. He was a party or advised multiple Private Equity transactions in Africa, as well as in the Public Privatisation Process and has served for 5 years on the Board of the French-Nigerian Chamber of Commerce and for 3 years as an Economic Advisor to the French Ministry of Finance & Industry ( "CCE" Nigeria Section, by appointment of the Prime Minister).